One-step, multiple index set organizes several binders as easily as just one. 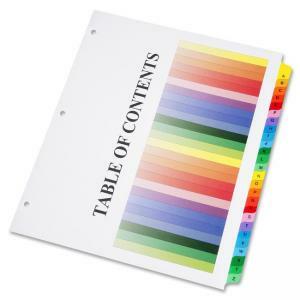 Each set includes a printable index page for tab reference. No tab typing or tab inserting. Mylar-reinforced binding edge prevents sheets from tearing. Index sheets are made using 30 percent post-consumer recovered materials.